With billions in taxpayer dollars at stake, the Obama administration has taken a "passive" approach to identifying potential fraud involving the president's health care law, nonpartisan congressional investigators say in a report due out Wednesday. While the Government Accountability Office stops short of alleging widespread cheating in President Barack Obama's signature program, investigators found that the administration has struggled to resolve eligibility questions affecting millions of initial applications and hundreds of thousands of consumers who were actually approved for benefits. The agency administering the health law — the Centers for Medicaid and Medicare Services — "has assumed a passive approach to identifying and preventing fraud," the GAO report said. In a formal written response, the administration agreed with eight GAO recommendations while maintaining that it applies "best practices" to fraud control. The report is being released by Republicans on the House Energy and Commerce Committee in connection with a hearing on the Department of Health and Human Services budget. A copy was provided to The Associated Press. GAO "raises many red flags," said committee chairman Rep. Fred Upton of Michigan. "Perhaps the most unsettling is that while HHS agrees there are many vulnerabilities, the agency has no urgency or plan to fix these critical errors." The health care law provides subsidized private insurance to people who don't have access to job-based coverage, provided that they are citizens or legal immigrants, and fall within a certain income range. The GAO report raised numerous questions about the government's system for verifying eligibility for those benefits. Advocates for low-income people say the problem isn't fraud, but a convoluted documentation system that leaves out hundreds of thousands of consumers legally entitled to benefits because their personal information may not exactly match what's in government files. About 12.7 million have signed up for coverage this year. When people apply for coverage through HealthCare.gov and state insurance exchanges, a behind-the-scenes electronic system called the "data services hub" pings federal agencies such as Social Security, IRS, and Homeland Security to verify their personal details. In a key finding, the GAO said that the administration does not aggregate, track and analyze the results of data hub inquiries — instead just using the responses to process individual applications. By not tracking, the administration "forgoes information that could suggest potential program issues or potential vulnerabilities to fraud," GAO said. Its investigators approached the individual agencies assigned to verify personal information and found large numbers of inquiries in which the data hub could not confirm details. At IRS, income and family size information — critical for health insurance subsidies — was not available for inquiries representing 30.7 million people in 2014. GAO said the number hadn't changed much for 2015. It was down to 29.2 million. All those inquiries don't result in final applications, much less ones that get approved. And HealthCare.gov is legally permitted to approve applications with unresolved documentation issues. Consumers then get about three months to straighten out paperwork issues. However, GAO concluded that the process for resolving documentation issues does not appear to be highly reliable. The investigators' analysis determined that 431,000 applications from 2014 still had unresolved paperwork issues in April of 2015, months after the coverage year had ended. Those applications involved $1.7 billion in taxpayer subsidies. In addition, there were 35,000 applications with unresolved questions involving matching Social Security numbers, which represented $154 million in subsidies for insurance premiums. It would be a clear waste of taxpayer dollars if "Obamacare" subsidies are going to prisoners, Upton said. 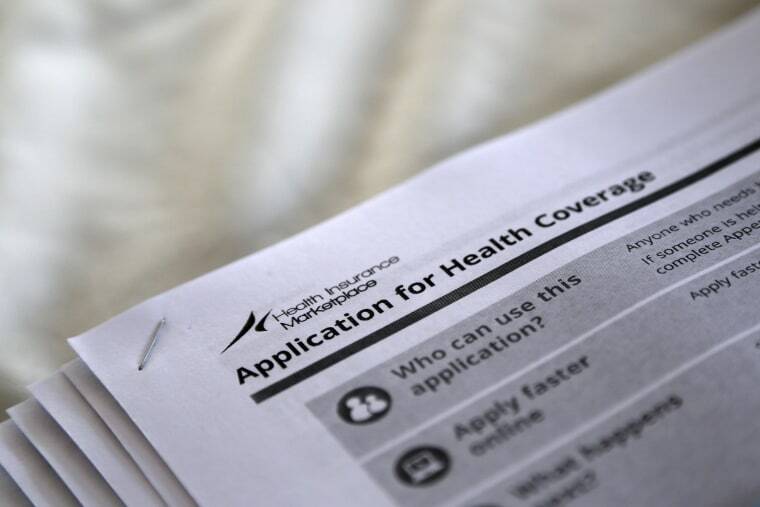 HealthCare.gov "is at risk of granting eligibility to, and making subsidy payments on behalf of, individuals who are ineligible to enroll," said the report.